Looking For Jobs, Finding Death – By Femi Fani-Kayode. Whether anyone likes to accept it or not the bitter truth is that 80 per cent of our GRADUATES are unemployed in Nigeria today whilst 51 per cent of our PEOPLE are also unemployed. As a frightful and grave consequence of these shocking statistics, which I happen to believe may well be a world record in terms of unemployment, a terrible tragedy occurred in Abuja and other parts of our country on 16th March 2014. Approximately 68,000 of our youths gathered at the National Stadium in Abuja for an aptitude test for just 3000 jobs in the Immigration Service. 10 of those children were killed in a stampede whilst looking for those jobs. It did not stop there. Another 20,000 youths gathered in the stadium at Port Harcourt, Rivers state for aptitude tests for the same 3000 jobs and there was another stampede there as well in which 4 of their colleagues were killed and four more were so badly wounded that they remain in a coma up until now. Similar gatherings for the same Immigration aptitude test took place in cities all over the country all for the same 3000 jobs and three young pregnant girls together with three male youths were killed in a similar stampede at the stadium in Minna, Niger state. The only crime that all these children that were either killed, maimed or injured in these horrific stampedes in the stadiums of all these cities like Abuja, Port Harcourt, Minna, Lagos, Kano, Kaduna, Benin and elsewhere had committed was to try to get a job, to fight for a better life for themselves and to try to secure their future. What a tragedy. One day Nigerians will appreciate the importance of facts, figures and statistics and the consequences of tolerating atrocious, lousy, insensitive and unaccountable governments. They will also understand the implications of having a government that has no qualms about taking advantage of the pitiful plight of it’s own youths and citizens and scamming them in the most obvious and shameful manner. Why should anyone be surprised that hundreds of thousands of youths gathered in stadiums all over the country on the 15th March 2014 just to apply for a tiny handful of jobs that are available in Immigration? This is so SIMPLY because there are NO jobs available for these children in our country. I repeat 80 per cent of our graduates are unemployed and 51 per cent of our people are unemployed. Why won’t they die and be killed or injured whilst looking for the few jobs that are available? Why won’t they gather in stadiums all over the country in their hundreds of thousands just to do an aptitude test for a job in Immigration for which there are only 3000 vacancies? Why should anyone be surprised by this madness and this turmoil? Why should anyone be moved by this horrific carnage when it is now a regular phenomenon in our country for children to be slaughtered. If they are not butchered whilst at school by islamist fundamentalists they are slaughtered whilst they are looking for jobs from a heartless government which has effectively destroyed their future. Yet look for jobs they must because these children and these youths are desperate and they are suffering. To make matters worse they are also being taken advantage of and scammed by their own government who are desperate to extort money from them by all means available. If this were not the case why would the Comptroller-General of Immigration and the Minister of Internal Affairs order that each and every one of those youths that flooded the stadiums in their hundreds of thousands and that stood in the sun should be made to pay 1000 naira each for the forms that they were to use to do the aptitude test at the various stadiums all over the country. Someone was set to make a whole lot of money considering the fact that over one hundred thousand youths were involved in this shameless exercise and the amount of cash that they must have made runs into hundreds of millions of naira. The whole thing was just a massive and monuemental scam to extort hundreds of millions of naira from these poor, young and innocent souls and many of our youths have paid for it with their lives. This is what President Goodluck Jonathan’s Nigeria has done to them. We now have an army of angry, jobless, frustrated, disillusioned and desperate youths on our hands in this country and consequently we are literally sitting on a keg of gunpowder. May God help us and may He forgive us for failing these children and destroying their futures. Other than this I will say no more on this matter because the truth is that most Nigerians no longer ”give a damn” when blood is shed and when lives are taken. This is so even when those lives are those of children. Permit me to give an example. On the very same day that our youths were dying in stadiums looking for jobs with Immigration another 100 innocent people were being slaughtered by ”unknown gunmen” in southern Kaduna and no-one seems to care. Again only two days before then, on March 12th 2014, 110 innocent Nigerians were butchered by what were described in the press as a group of ”fulani gunmen who were on motorbikes” in Katsina state whilst the President was on an official visit there. What a tragedy. Under President Goodluck Jonathan we have become a nation of vampires where the death of innocent children and youths means nothing and where we cannot even provide jobs or a decent standard of living for our young ones. Instead we attempt to scam them and to extort money from them. What a government, what a country. If our government had any sense of decency, justice or accountability the Comptroller-General of Immigration and the Minister of Internal Affairs would have not only been compelled to resign or fired by now but they would also have been arrested and would be facing criminal charges for, at the very best, criminal negligence and manslaughter and, at the very worse, accessories before the fact to murder. Yet we know that that will never happen as long as President Goodluck Jonathan is in power. Far from it. As a matter of fact instead of bowing his head in shame and showing any sense of contrition or remorse the Minister of Internal Affairs has come out shamelessly and blamed the dead youths themselves by saying that ”they did not exercise enough patience during the exercise”. May God forgive this man. I wonder if he would have expressed such sentiments if any of his own children had been killed in the stampede. ”Good morning uncle Femi. I honestly don’t know where to start from. My heart is so heavy. What is it about Nigeria that (or is it we as a nation) nothing good comes out of the news. I’m beginning to wonder if there is nothing wrong with me when I go through websites expectant of only bad news. Why don’t I ever expect anything good to come out if Nigeria? I don’t even know what to tell my children again. I try to give them a balanced view of the country but something would always come up to make nonsense of that. Why would any sane person want to come and live in that madness called Nigeria where nothing is guaranteed. Life is not guaranteed, jobs are not guaranteed, education is not guaranteed, security is not guaranteed, a decent daily meal is not guaranteed. I could go on and on. Her words and counsel moved me to tears. As far as I am concerned she captured the mood very well and her simple yet succinct submission is reflective of the thinking and deep pain of millions of Nigerians from all over the world that are fast losing hope in their nation. Yet what can we do but just continue to hope and pray. What can we do for the future of our children and to better the fortunes of our nation? This is indeed food for thought. As the bible says, ”may God deliver us from bloodthirsty and evil men” and ”may the balm of Gilead heal our wounds and comfort our mourning souls”. We are Ready to Rescue Nigeria From “Clueless Leaders,” Says APC. The All Progressives Congress (APC) has assured Nigerians that the party is ready, willing and determined to make all the necessary sacrifices to reverse the prevailing gloomy situation in the country and bring about the much-needed change for the better in the interest of the long-suffering citizens. In a New Year message issued in Lagos by its Interim National Publicity Secretary, Alhaji Lai Mohammed, the party said Nigerians should go into the New Year with an unyielding commitment to be part of ongoing efforts to set the country on the path of growth and development, rather than get into a state of funk on the basis of the cumulative mis-governance of the past 14 years by the PDP-led Federal Government. ”While wishing all Nigerians a great 2014, we hereby solicit their unalloyed support for our efforts to reshape the country’s political landscape, shake off the heavy yoke imposed on them by their selfish, self-serving and clueless leaders and make the country a source of pride not only to its citizens but to all black people in the world,” it said. APC said the first step in what will be a tough but final battle to rescue Nigeria from the clutches of rapacious leaders will be to bring the citizenry on board the train of change that is barrelling through the country, and to ensure that elections in the country are free, fair and credible. ”As we wrote in the preamble to our manifesto, ‘democracy, to be stable and meaningful, must be anchored on the principle that government derives its powers from the consent of the governed….This means that governments are instituted on the basis of free, fair and credible elections, and are maintained through responsiveness to public opinion. ”’In addition, the exercise of political authority is rooted in the rule of law. APC believes in the doctrine of social contract between the leaders and the led; which means that the public office holder is a trustee of the people and that power must be used in the interest of the people rather than in the interest of the public office holder’,” the party said. It said in order to ensure that as many Nigerians as possible are brought aboard the APC train of change, the party would kick-start its membership registration drive early in the year, targeting in particular the youth who are indispensable in any effort to bring about change. ”We ask all those who are yearning for genuine change to seize the moment and embrace the engine of change, which the APC represents! Our compatriots who have lost faith in our dear country because of inefficient and corrupt leadership can count on us, because we represent committed, transparent and focused leadership,” APC said. The party pledged to halt the country’s drift towards a failed state with a conscious plan for a post-oil economy in Nigeria, details of which would be outlined in the weeks and months ahead; and to make the welfare and security of the citizenry, which is the raison d’etre of any government, its top priority. 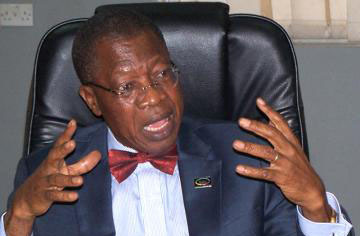 APC said that in order to extricate Nigeria from the dire straits in which it has been plunged by the successive PDP governments, the party has decided to make as its priority the War Against Corruption; Food security; Accelerated Power Supply; Integrated Transport Network; Free Education; Devolution of Power; Accelerated Economic Growth and Affordable Health Care. ”We know skeptics will sneer at these and deride them as mere sloganeering. After all, Nigerians have been taken for a ride for the past 14 years by those who have mistaken transmogrification for transformation, and those who have relentless pursued power for the sake of power, rather than to use it to harness the country’s abundant human resources. ”But most things look impossible until they have been achieved, and the impressive record of performance in the states under our control, from Kano to Imo states and from Lagos to Edo, testifies to our ability, determination and willingness to make things happen for the benefit of our people,” the party said. Kano Governor, Rabiu Kwankwaso, Expresses Disappointment And Surprise At Arrest Of Top Officials of State Legislature. The government of Kano State has expressed “utter disappointment and surprise” with Monday’s arrest by the Economic and Financial Crimes Commission (EFCC), of the Speaker of the State House of Assembly, Hon. Gambo Sallau, and other principal officers and Clerk. A statement by Halilu Ibrahim Dantiye, the Director of Press and Public Relations to Governor Rabi’u Musa Kwankwaso, stated that the officials were apparently arrested in connection with the government’s 2013 budget amendment, which the governor has already signed into law. “It is crystal clear that the above mentioned public officials were arrested by the EFCC on the orders from the above, because of the legislators’ defection to APC, in support of Governor Kwankwaso,” the statement said. It stated that the officials were only exercising their constitutional responsibilities of ensuring that budgets are properly articulated to ensure probity and accountability in public expenditure and enable the citizens enjoy the dividends of democracy. The statement confirmed that in addition to Alhani Sallau, also arrested were the Deputy Speaker, Isyaku Ali Danja, the Chief Whip, the Deputy Chief Whip, the Majority Leader and the Deputy Majority Leader. The Minority Leader, Deputy Minority Leader, Chairman of the House Committee on Appropriation, the Chairman of the House Committee on Finance, and the Clerk of the House were also arrested. Nigerian Youths: The Future Is Now By Godbless Sotu. I kept wondering and pondering, so as not to get to a point of conjecture as regards the reason why a large portion of the Nigerian youth, educated and uneducated alike are turning a blind eye towards how the country we call our own is being run at the moment. It shows we are now like a people without direction, a people dancing skelewu on an aircraft with the pilot as the DJ while the plane remains auto-piloted. We focus more on entertainment programmes like “Kim Kardasian Shows, Big Brother Africa and the African Magic World etc.” As we now think that the leadership of nations (politics) is evil but whereas its the very determinant of how our society turns out to be through the decisions those in power make and take. It has led us to being striped off our rights, made us slaves at home and beggars of our own properties. I saw in the news today of how the Kano state government just concluded with a mass wedding of more than 1000 couples; bravo the people of Kano must have applauded their governor who started the programme since 2011 but I vehemently put forward that if not for the decadence in our National and grassroots leadership there wouldn’t be such public hokum in the guise of serving the people. What more can we say is an evidence of the failure of governance when our youth can’t do a simple thing as paying bride price just because they don’t have good jobs. “what a shame”. We are in this quandary not because the land is cursed nor is it because we are from a land of black-skinned people but because we’ve failed on our own part as a youthful giant to recognize the strength we possess. Adimba Toivo ya Toivo the founder and Secretary General of South West African People’s Organization who spent 19 years with Nelson Mandela in prison told a strong mentor of mine that “you must fight your war and not have another person fighting your war for you”, during his visit to Argentina in 1985 when he asked him (Adimba) why he rejected Nigerian and the Joint African Army to free Namibia. Obama said on the Young African Leadership Initiative (YALI) and I quote, “Africa’s future belongs to his young people…we need young Africans who are making things happen not only in their own countries but around the world”, so if it takes a US president to recognise our potentials before we do, then something must be wrong because only a people with a sense of duty to their fatherland can truly decide on what they want and until we start the decision making, we won’t go anywhere from where we are now. We as young people must stand up and take our future into our hands instead of leaving it in the hands of people who cannot even run their family. We’ve being cowed, colonized via the usual way of giving us peanuts whenever an election is around the corner. Oh I weep for my fellow Nigerian youth, we trade our future away for what won’t last more than a day and in the end we stand to cry foul, with no one to answer simply because we traded our honour for honey. I remember the famous line of Patrick Henry at the Virginia Convention on March 23, 1775 at a time when Americans thought it wise to free themselves from colonial rule, his words; “Is life so dear, or peace so sweet, as to be purchased at the price of chains and slavery? Forbid it, Almighty God! I know not what course others may take; but as for me, give me liberty or give me death!”. This was the cry of a man who wouldn’t live a life lesser than the one he is capable of living as against what our Nigerian youth settle for; a life of slavery and poverty, a system of pay me, fill my stomach and chain me if you like. Nothing will change until we reform our psyche. Nothing will change until our mind is tamed. Nothing will change until we reject the status quo currently in place, nothing will change till every Nigerian youth see himself as the architect of the dream Nigeria; a Nigeria where Ankara would become wedding gown, where foreigners will line up for days to get a Nigerian visa, a Nigeria where darkness becomes a fairy tale, a Nigeria where we can speak the language of green and white as opposed to ethnicity. It falls on our shoulders to take the bull by the horns, wielding the might of the social media, wielding the strength of our population as youth and redefining how we want to be governed by getting actively involved and making the needed change that we crave. A time will come when our children shall ask us about what we did when we were at our youthful age to prevent the further collapse of our dear nation and it will be up to us to tell them the truth as to what we did now, after we saw this writeup, after we saw the molestation of the Edo state widow, after we saw gross electoral malpractices in various polls, after we saw hunger, unemployment and the rapid ebbing away of human rights and social justice. Right from childhood, we’ve been told that we are leaders of tomorrow but that isn’t true, the mindset of being leaders of tomorrow is the reason why people like Buhari, Tinubu, Banbangida are still thinking of leading Nigeria to the promise land. It is this same reason that made Obansanjo to attempt a third term and also the same reason why Senator Rashidi Ladoja of Oyo still feels like governing Oyo state despite his age. This leaves me with a conclusion thus; the leadership of the youth is now else the resultant effect won’t be farfetched; an eventual collapse of this Nation. I know a few Nigerian youths who are taking this initiative as a duty, though I won’t mention names but to those who share my ideas and put them into good workings in their daily activities; my praise and commendation goes to them but yet, there is still a lot of us who need to conquer territories dominated by ignorance and spread the light of freedom. GODBLESS SOTU is a freelance writer, social crusader and the pioneer of TAMED(Think A Minute EveryDay) MINDSET, A Platform with the aim of reaching out to young Nigerians who have been in one way or the other rendered hopeless by the current societal ills.